Once submitted, we will try and place you in contact with a suitable Industrial Pumps supplier within 48 hours. Blast Hole Dewatering Pumps from Legra Engineering, Inc.
Auto Prime Contractor Pump - BA-C series from BBA Pumps. 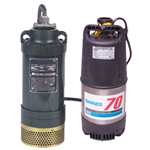 Prosser Standard Line® pumps from Crane Pumps & Systems. 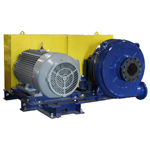 Multiflo® ME Electric Pontoon Pump Units from The Weir Group PLC. millMAX Slurry Pump from FLSmidth Pty Limited. 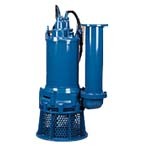 Minex Drainage Pump from Grindex AB. S500 Quinmax Pumps RMI Pressure Systems Ltd.
Model K Slurry Pump from A.R. 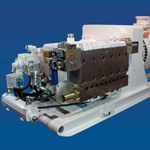 Wilfley & Sons Inc.
GSZ Pumps from Tsurumi (America), Inc.